One question that seems to come up in forums and message boards alike has to do with making Google Chrome's kiosk mode lock down a device more effectively. While Chrome kiosk mode offers a simple view mode for your device to run a full screen browser, it quickly becomes clear that it was not built for self service usage or more secure lockdown scenarios. 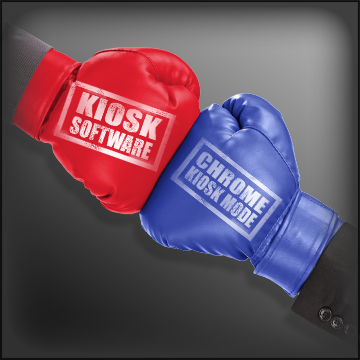 KioWare identifies the best uses for Chrome's kiosk mode and the limitations to better help users identify when it is time to move past "kiosk mode" and into "kiosk software". Read more in this article about Chrome kiosk mode and kiosk software.